Kerry Krikava is the 2015 ALS Provider of the Year and recipient of the North Dakota Star of Life Award. Kerry began her EMS career in 1981 as an EMT and furthered her career to the present day Nationally Registered Paramedic. Kerry is known as the “go-to person” and the “face” of her service. 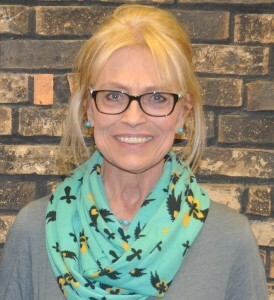 She can be found in the field as a Paramedic as well as working in the office recruiting, grant writing, providing education and training, and coordinating with the hospital staff in Watford City and medical providers across the state. Kerry has been very active in the state assisting with medical evacuations during the Fargo and Grand Forks floods, providing legislative support with Oil Impacted EMS. Kerry was instrumental in having the EMTALA law changed for ground ambulances and has testified several times on EMS issues at Medicare hearings, federal and state government sessions. Kerry still works part time for the McKenzie County Ambulance Service and also works full-time in disaster, emergency preparedness and response, for a multi-state engineering, botany, science and response consulting firm.